Will you be cruising into the Lake George Region on your motorcycle this weekend for Americade or the Warrensburg Bike Rally? Or, are you planning to stop by on Sunday for the first day of Lake George’s Spring Restaurant Week? No matter when you visit this weekend, you’ll find plenty of fun events and things to do! 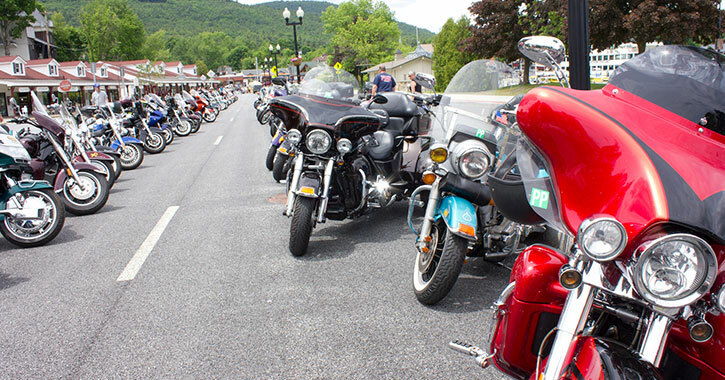 The world’s largest multi-brand motorcycle rally, Americade, is underway in Lake George Village! This massive event features a trade show with over 250 vendors, demos and displays, rides, special events for attendees, and much more. Take a short drive from Lake George Village this weekend to the annual Warrensburg Bike Rally at the Warren County Fairgrounds. This year’s rally offers great deals and prices on motorcycle products and services, food vendors, and live entertainment too. Admission is free. If you’re riding around the area, be sure to check out the DirtDaze Adventure Rally in the nearby Town of Lake Luzerne. Based at the Painted Pony, this event offers on-site demos and vendors, world class rider training, riding games, contests, and more. On Thursday, Friday, and Saturday, a Party on the Pier will be held at the Lake George Steamboat Company’s Steel Pier on Beach Road. Come celebrate with live music, great food and drinks, and incredible views. This Friday and Saturday, the annual free Block Party during Americade will be held in the heart of Lake George Village. An amazing lineup of musicians and bands will perform each day, and on Friday night, visitors can enjoy fireworks at 9:30pm! Make your way to King Neptune’s Pub on Saturday night for a live concert by Out on the Tiles, which will be a tribute to Led Zeppelin. There will be no cover charge. 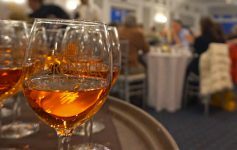 It’s finally time for this year’s Lake George Spring Restaurant Week to kick off! 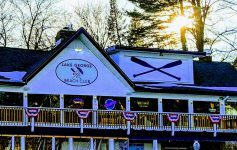 Beginning this Sunday, you can visit participating Lake George area restaurants and enjoy special three-course meals for a fixed price of just $20.18. 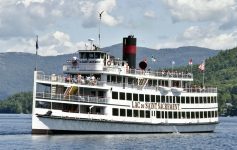 This Saturday night at 9:00pm, the Lake George Steamboat Company will host a Mohican Fireworks Cruise on the waters of Lake George. The cruise will include live entertainment, great food, and a full cocktail bar. Next Article Treetop Tech: Upgrades to ADK Extreme’s Kids Course, and More!